Marketing communications company Access Consulting has appointed Stratevent to organise a three-day meeting and team-building event in Lisbon next month. 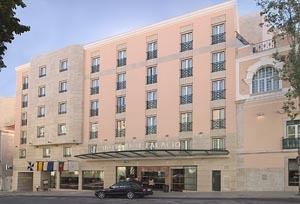 The event, for 50 delegates from the French-based firm, will take place from 6-8 June at the Hotel Real Palacio in Lisbon. Alongside the meetings, the group will take part in various team-building activities, including a rally in the historic part of Lisbon. Evening events aim to give delegates an insight into traditional Portuguese culture, with a cocktail reception on board Lisbon’s historical trams on the first night, travelling through the seven hills of the city. This will be followed by a Portuguese dinner in Alfama, the picturesque quarter of the city, giving delegates the chance to sample a range of local delicacies. The second night will feature a wine tasting event, followed by dinner in the downtown area of Bairro Alto.